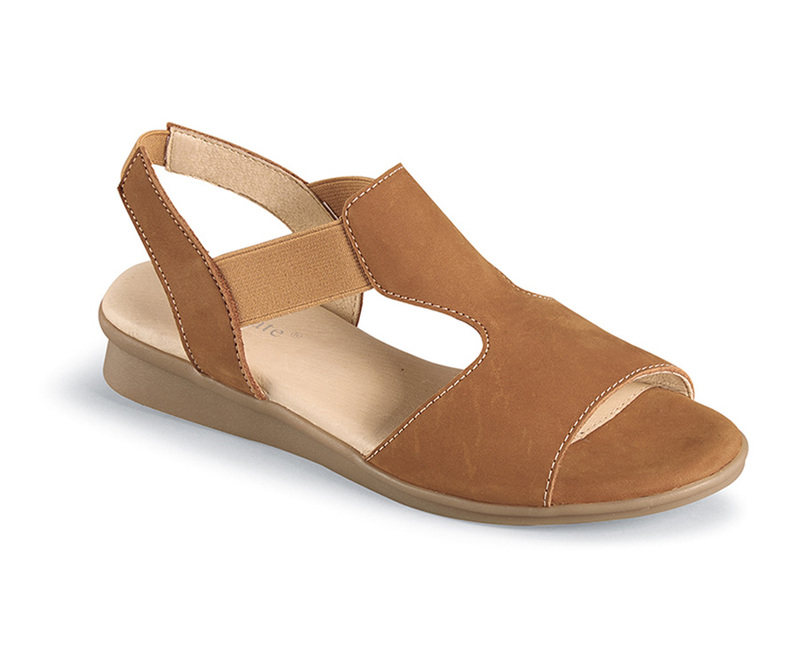 The tan “Ash” sandal from David Tate has silky smooth nubuck uppers lined with leather. Elasticized straps make it a breeze to get into and out of. The leather-wrapped footbed is thickly cushioned with foam. 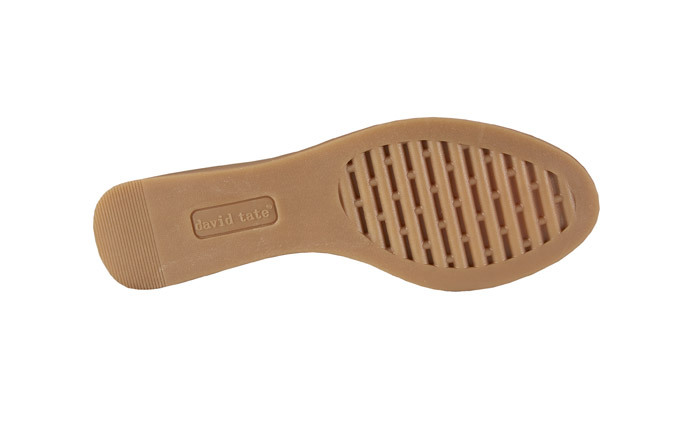 The gum rubber wedge sole has one-inch heel height. Re-stocked seasonally. Limited stock in women’s XW(2E/3E) in sizes indicated.